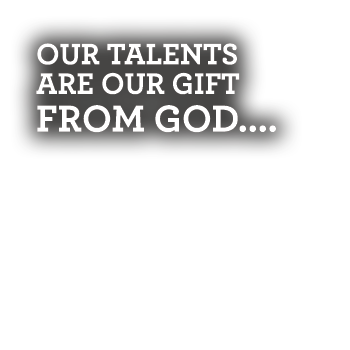 Our talents are our gift from God. 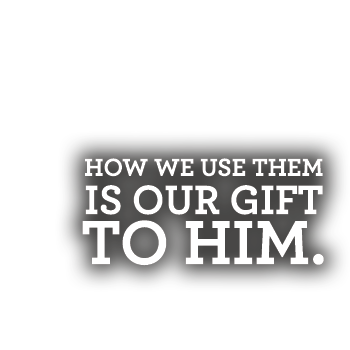 How we use them is our gift to him. For me (Sandy), this story began long before I was born when God wove me together in my mother’s womb with a talent, uniquely for me and designed to honor Him. (Ephesians 2:10) As I know it, it began when I was about eight years old. My mother ordered a hand tooled wallet for my father for Christmas. My interest spurred mom and dad to buy me a leathercraft kit. Before long I was making wallets and belts and sometimes getting paid for them. Leathercraft became one of my most enjoyed projects through my entire 4-H career. In 1976 I started college with goals of a career in either beef cattle genetics or beef cattle promotion. From a young girl, I worked beside my parents, breeding and showing purebred Hereford cattle. I never gave thought to anything but involvement with the cattle business as a career. My leatherwork went with me to college. I would make extra money making mostly belts and wallets for folks ($10.00-$15.00 for a hand tooled belt). Whether in the dorm or in any apartment, it seemed that I always was on an upper floor. My desk had about three bath towels with my marble slab on top to minimize pounding noise. It helped but I didn’t make many friends on the floor below me. After completing college, I went through various chapters of “growing up” but my leatherwork followed me consistently. I thought by chance and now know that it was all part of God’s plan, my work became popular to use as awards for major cattle shows across the country. In 1976 I secured my first ten-thousand-dollar award order. Also, that year my son was born. I was working as assistant marketing director for a local feed company at the time. A Friday afternoon, the last day of my pregnancy leave, I got a call saying my position was dissolved. I was angry for a time, then realized that maybe I could stay home with my son and make a living doing leatherwork. God’s plan, not mine, and he had it all figured out if I would just listen. I learned over the next years (and am still learning) that God gives us all special gifts and talents (1 Peter 4:10) and he wants us to hone them and use them to his glory. My son Tom never had to go to a daycare. 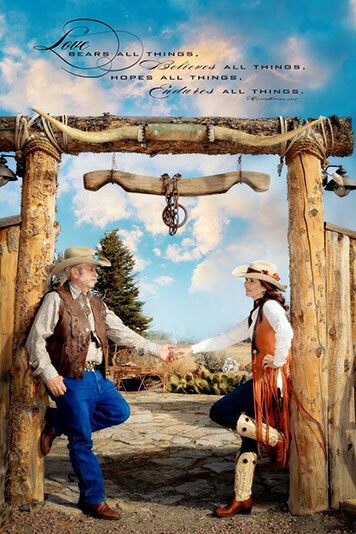 I was available as needed when he was in school and when my parents were aging (still on the homestead ranch in North Dakota) my flexibility and ability to take my work with me allowed me, for three years, to go every couple of months to help them. In 1993, I married Gary……and this is when the story gets interesting. Gary was 25 years older than me but for 15 years he was a young healthy man and we had a great life. He did some leatherwork as a hobby, so it was a perfect fit for him to work with me in my business. In those 15 years Classic Leather Designs grew a new face. For me is was an evolution into the western fashion and interior design markets. It became one of the most sought after exhibits at the National Rodeo Finals. By 2010 the NFR was about 70% of our yearly income. I felt like I was really pursuing my passion. Well, God had another plan. Gary started having early symptoms of memory loss in 2008 and by 2012 became advanced enough that it was difficult to get work done at the level I needed to. To make a long story short, God showed me very clearly that he wanted me to give up the NFR and stay home and care for my husband. WHAT GOD? I WORKED MY WHOLE LIFE TOWARD THIS AND NOW YOU ARE GOING TO TAKE IT AWAY? I obeyed. God provided enough work to sustain us without shows. I had no idea what we were in for with Alzheimer’s, but I am eternally grateful for those years. I know that if I had continued the path I PLANNED that Gary would have been in a home at least a year or two before he was. Early 2016, the disease got dangerous and God took control again and put him in a care center. He passed away in 2017. I know without doubt, that God knew that Gary would get Alzheimer’s and that he picked me and equipped me to be his caretaker (using the talents he gave me). Thank you, Jesus, for choosing me and equipping me. Those years did not go without hardship. Trying to complete orders and care for one with Alzheimer’s is difficult and consuming. When the toll became too much God took it out of my hands. The day when Gary was taken away to a care center was the most surreal day of my life. I felt like an outsider, looking in, as people and facilities were put in place. As others know who have been there, I don’t know of a more defeating, painful and guilty feeling than having to accept that you can’t care for a loved one anymore. Those next couple of months broke me like I have never been broken. Again, God had a plan. He sent a retired man who had lost his wife to Alzheimer’s to help me. He was a woodworker and artist in other mediums so learning the basics of leatherwork came naturally. I’ll never forget his words, “I don’t know much about leatherwork, but I can help”. It was cattle show award season. He buckled in and we worked 12-16 hours a day for two months to meet deadlines. He not only worked tirelessly in the shop, he mentored me about the disease as we worked. About one o’clock daily, he would boot me out the door saying, “go see Gary, I got this”. Many days I would return in tears. He would painfully recall is own journey to comfort me. Fast forward to 2018. Again, God had a plan…. a divine intervention that he had planned all along. This good Samaritan and brother in Christ, Freeman Crawford, became my husband. It is a new chapter. Creativity abounds. We both believe that God put us through all of this to help others by sharing our testimony of His true and redemptive love. Our mission through this work is to honor God every step of the way and be available for whatever journey he has for us.